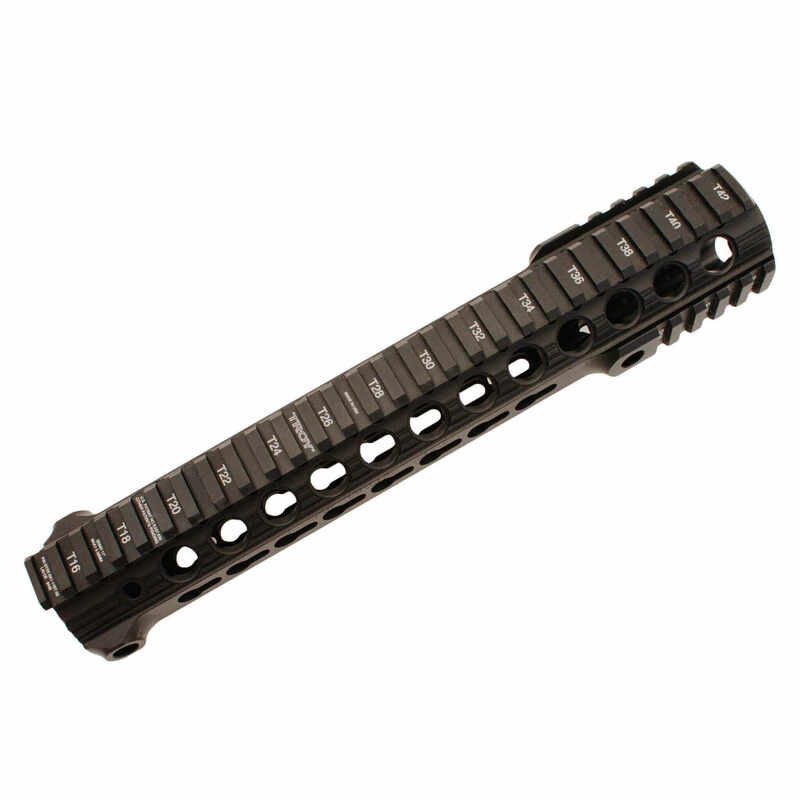 This streamlined one-piece handguard is exceptionally lightweight and sleek. Troys SDMR Rail installs quickly and easily. With its series of keyholes, accessory mounting is simple and reliable: they cant loosen or fall off. Machined from hardened aircraft aluminum with stainless steel components and finished in MIL-SPEC hardcoat anodizing.